We quizzed James Abbott on his new book The Never King, his favourite books, and his top writing tips. The Never King is the new gripping gaol-break story by James Abbott. We invited the author to answer five of our burning questions. 1. What's your elevator pitch for The Never King? The Count of Monte Cristo meets Game of Thrones. It’s essentially a jailbreak novel set in a classic, heroic fantasy setting, with plenty of revenge, intrigue, plot twists and the body count is reasonably high. 2) Where did you find the inspiration for the story of The Never King? In many ways, it’s about me as a writer going back to basics and embracing the genre’s core. I’ve always written around the fringes of genres, cross-over aesthetics and themes, and so I wanted to strip things down to the absolute basics. In many ways, it’s going back to my genre roots as a reader too, looking towards the classic fantasy novels that inspired me longer ago than I care to imagine. 3) Peace vs. vengeance is a major theme of the novel - why did you want to explore that in particular? People change as they get older. I think the older you get as a writer, too, you become fascinated with things about your own past. Which is not to say I’m personally reflecting on issues such as peace and vengeance, but that backward-looking things become more interesting the older you get: and so vengeance, as a novel theme, is a natural extension of that; a product of reflection, of brooding on the past. It slotted neatly into the mindset of the lead character, Xavir. And I suppose in many ways, it’s a reluctant vengeance. Perhaps a question of what it takes to turn from a peaceful if unhappy existence, to one of proactivity and violence. 4) Which book do you always recommend to people and why? 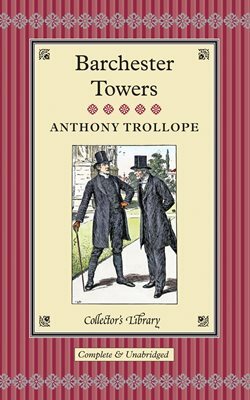 Classics: Anthony Trollope’s Barchester Towers. Ranged either side of the unfathomable Victorian divide between the High Anglican clergy and their modern, evangelical brethren we meet the saintly Septimus Harding and the furious Archdeacon Grantly and, opposing, the fearsome bishop's wife Mrs Proudie and her oleaginous chaplain, Obadiah Slope. Exquisitely crafted, this classic tale of love amid ecclesiastical warfare from Trollope's series of Barsetshire Chronicles carries a benign and reassuring message - that the Church of England has always been a rich source of divine comedy. Modern(ish) Literary: Don DeLillo’s Underworld. That’s a fairly eclectic mix for now, I guess. 5) What's your top writer's tip? Write. Make time to do it. Time is the most precious resource, and the biggest barrier. There are more distractions than ever, more reasons to not write. But people will never get published, never get the next thing done, if they do not make the time. If you don’t make the time, you probably don’t want the gig hard enough. Out now in Paperback and as an Ebook!